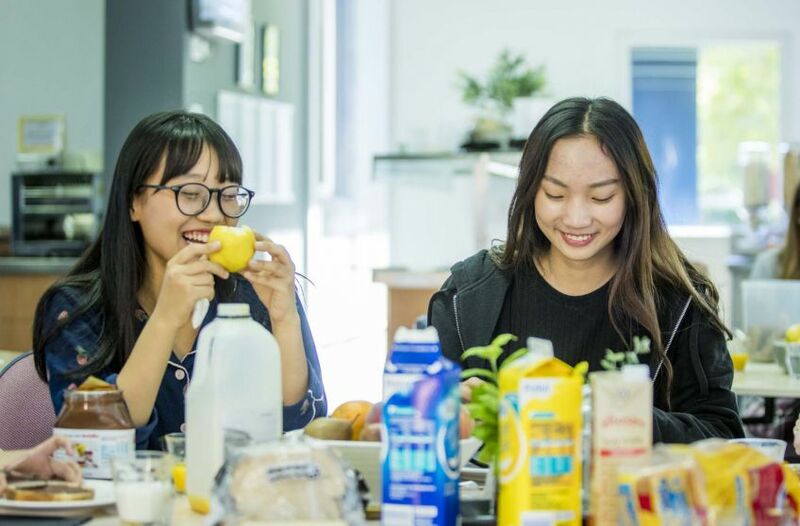 PLC offers a safe and supportive community for students studying in Melbourne, Australia, with a proud history of welcoming girls from many different countries and cultures around the world. Located on a single campus, PLC is set in spacious, beautifully landscaped grounds. The school has state-of-the-art facilities, including a stunning Learning Resource Centre, a professionally staffed indoor swimming pool and diving pool complex, and a magnificent Performing Arts Centre, opened in 2017. As a medium sized school, PLC offers a vast range of outstanding educational, musical, performance, sporting and co-curricular opportunities. International students may live on the school campus, in an architect-designed modern Boarding House, with caring residential supervisors who oversee their welfare. Alternatively, international students may live off-campus with a close direct adult relative. International students are supported and guided, ensuring they establish good study habits, maximising their potential. Please note that PLC does not offer a GAP year program. To study at PLC, an International Student needs to submit an Application for Enrolment, together with the application fee, copy of their birth certificate, passport and most recent school report. If a girl has been studying in a school outside Australia, an application must be supported by an interview and an assessment with Australian Education Assessment Services (AEAS) which has associates in several countries. There is no pass score for the AEAS test, but the assessment provides information to assist us to determine whether intensive English (ELICOS) is required prior to commencement. Please visit www.aeas.com.au to arrange an assessment. It is valid for up to 12 months. If ELICOS is required prior to entry, this will be detailed in the place offer and a list of recommended English language centres will be provided. International student fees are due each October for the following year, except for the first year, when an invoice for tuition fees will be issued on enrolment. On receipt of fees, a Confirmation of Enrolment (CoE) will be issued. A Confirmation of Appropriate Accommodation and Welfare letter (CAAW) will also be issued with the CoE for all boarding students. Families will need to arrange Overseas Student Health Cover (OSHC) for the full length of the student visa, prior to commencement. PLC works with various overseas associates to facilitate (although not guarantee) a place at PLC, with an emphasis on Boarding.